You know the title. But do you know the subtitle? In May 1849, a 33-year-old Charlotte Bronte, who had cared for her younger sisters and brother as the eldest since her older sisters’ deaths in 1825, found herself sibling-less. Branwell Bronte had died the previous September, Emily followed in December and now Anne succumbed in Scarborough, where she was buried apart from the Bronte clan. Charlotte had turned to writing poetry on the death of Emily. 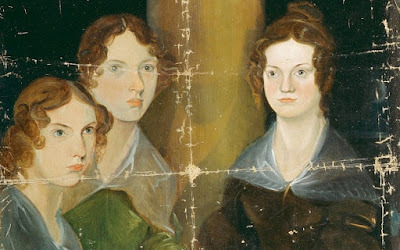 Penned five days after her sister’s death, On the Death of Emily Jane Bronte concentrates on the pain Emily has been spared, but her sisters have to endure in grieving for her – ‘My darling, thou wilt never know/The grinding agony of woe/That we have borne for thee’ – and ends with traditional Christian joy at the better world Emily has gone to (‘We will not wish thee here again’) and the hope afforded by the promised reunion in the afterlife (‘give us rest and joy with thee’). It is much harder for her to rely on religious comfort when losing Anne also means losing the last of her siblings and continuing her existence alone: ‘And now, benighted, tempest-tossed,/Must bear alone the weary strife’. 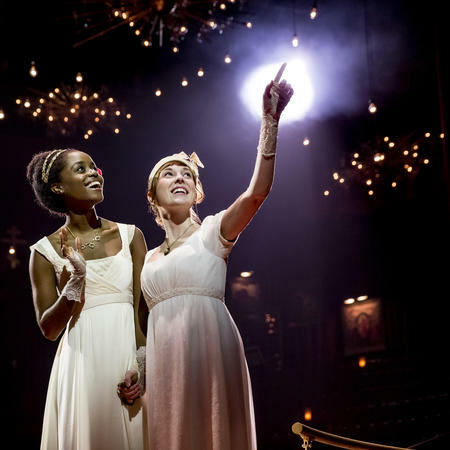 The poem’s central two stanzas dramatise Charlotte’s internal struggle at her sister’s deathbed – wishing for an end to Anne’s suffering, as she had for Emily, and fearing to go on alone. She is horrified at the ‘stillness that must part/The darling of my life from me’ in the same breath as she expresses her thanks to God for not extending Anne’s pain. There is no question of which emotion will win out. Charlotte knows that ultimately she is not given a choice. Her life may be ‘weary strife’ but it will continue for as long as God decides (in reality another six years, before she died in the early stages of pregnancy, barely nine months after her marriage). What would you like to see the Secret Victorianist blog about next? Let me know – here, on Facebook, on Google+ or by tweeting @SVictorianist. Reading Leo Tolstoy’s 1869 War and Peace is a mammoth undertaking. The story of love, death and philosophy against the backdrop of Napoleon’s invasion of Russia sprawls across four volumes, encompassing nearly 600 characters, and you soon feel immersed in its detailed and vibrant world. New Broadway musical, Natasha, Pierre, and the Great Comet of 1812 (hereafter The Great Comet), achieves a similar feat, even with its much more limited scope. New York’s Imperial Theatre has been transformed from a traditional proscenium arch into an interactive space, with many spectators sat on the stage, gangways for the performers to cavort through the audience and red velvet hangings and paintings over the walls, allowing you to feel like you have really stepped into a nineteenth-century drawing room. Dave Malloy’s play dramatises a few chapters of Tolstoy’s novel — the period just prior to the appearance of the comet, including Pierre’s duel and Natasha’s seduction and thwarted abduction. The focus is helpful in terms of improving accessibility (during the first song the chorus even tells you that you should be looking at your programme and consulting the family tree) and creating emotional payoff in a short space of time, although the production was most affecting for me during Pierre (Josh Groban)’s solos, which touched most explicitly on the novel’s broader existential themes. There is little dialogue and the music ranges from traditional Russian tunes to old school Broadway ballads to rave and electronica, whatever will best convey the plot and mood, to which the play strives to be loyal. 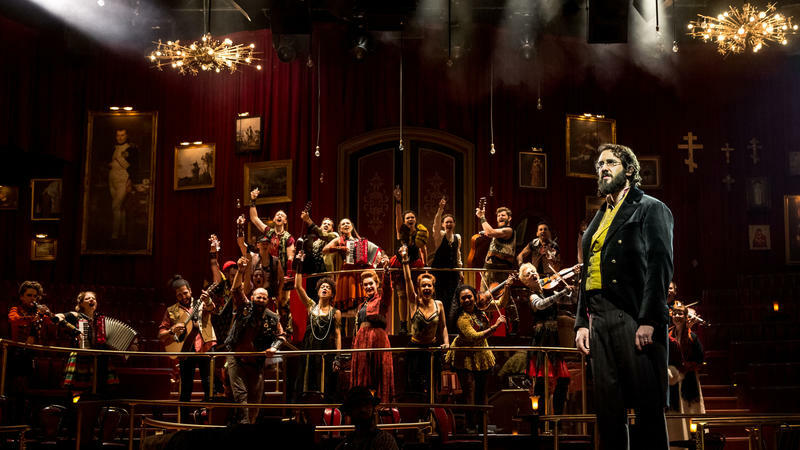 Many of the chorus members play instruments as they move through the crowd and Pierre often frequents the central orchestra pit, taking over at times from the musicians. Groban, along with Denee Benton’s Natasha, Brittain Ashford’s Sonya and Gelsey Bell’s Mary, really is the emotional heart of the drama, but the audience also responds well to the eccentric caricatures – mad Prince Bolonsky (Nicholas Belton), proud Muscovite matriarch Marya (Grace McLean) and ‘hot’ Anatole (Lucas Steele). Do you know of any other shows you think the Secret Victorianist should see next? Let me know – here, on Facebook, on Google+, or by tweeting @SVictorianist.